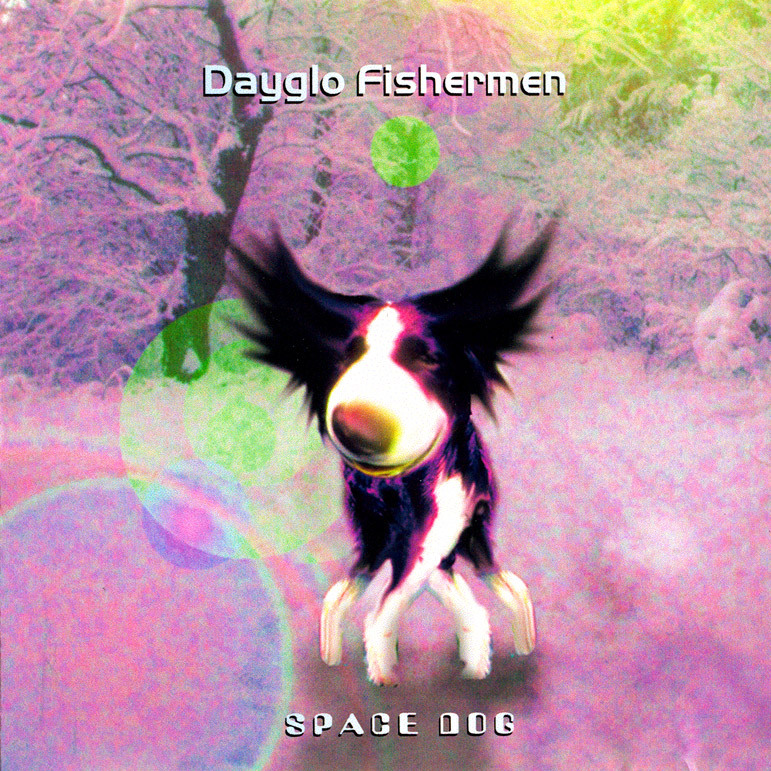 Science fiction themes are not uncommon in Dayglo Fishermen songs. Many songs contain subtle references - often the briefest of hints - to extra-terrestrial entities or events. But there are several songs that are blatantly out of this world. Here's a brief guide. Dayglo Fishermen's ventures into science fiction began on the 'Strange Plaice' album. The album opens with a section called 'Marsport'. The Story is that the Dayglo Fishermen band members are stuck on Mars after missing their shuttle flight back to Earth. The next shuttle is not for another month, so the band decide to record a new album while they wait at the spaceport. Fortunately their recording equipment and instruments are in their grav-car parked nearby. They set it all up and the album kicks off. 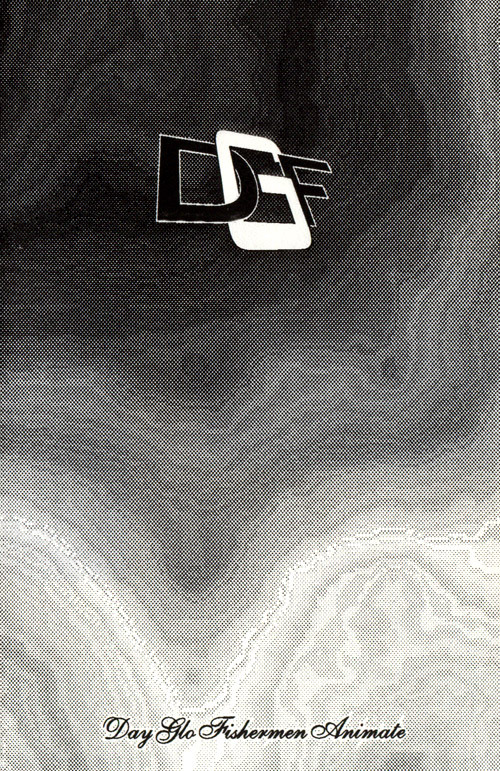 The album closes with a piece named 'Departure'. 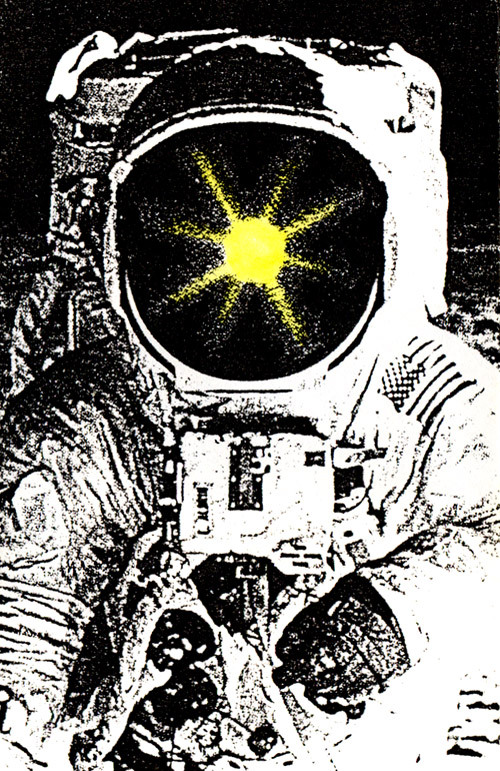 Having recorded the album, the band race to catch the next flight back to Earth. They make it, with only 25 seconds of tape left. 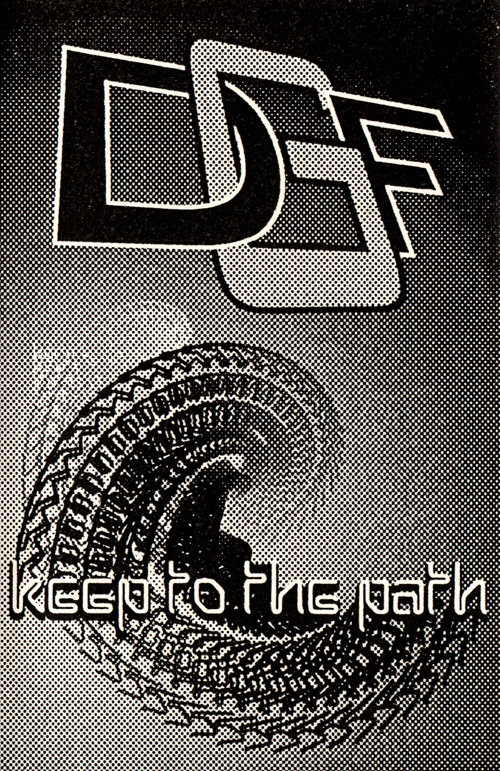 The next significant track is on the 'Keep to the Path' album two years later. It's a remix of 'Alien Wave', know as the Bass Hound Mix (there were in total three versions of 'Alien Wave' featured on five albums. This was the only version to feature the science fiction lyrics). The song is about a group of extra-terrestrial visitors who teleport down to Earth to explore. They are particularly sensitive to rhythmic bass sounds and hear what they believe to be an animal. While investigating the sound they stumble upon a cave hosting a rave. Hypnotised by the pounding music they misbehave badly. They leave, realising that there is definitely no disgrace in feeling the bass. 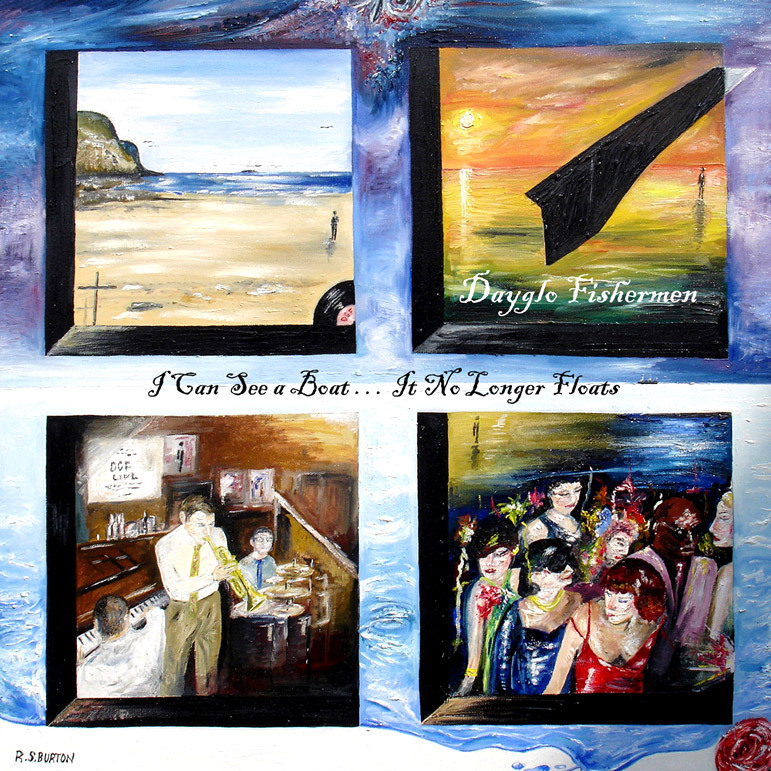 The 'Animate' album features one of the strangest science fiction songs in Dayglo Fishermen's back catalogue. Named 'Flaxen', the song is full of metaphors which is likely to be confusing for the uninitiated. It's about an alien race, known as the Phantoms, who are rendering every sentient being they encounter insane, and then destroying their home star systems. They go unchallenged for millennia until they approach the planet of the Flaxen. Lead by the entity known as the Mystic Mite, the Flaxen, unaffected by the mind-warping abilities of the Phantoms, use their transcendental powers to form a super-dense gravity field that consumes the Phantoms. It is likely to take several close examinations of the song to fully appreciate its lyrics. 'Space Dog' was the band's first album to be recorded after they relocated to South East England and recruited Ginny as a vocalist. It contains two science fiction tracks, a real treat for fans of the genre. 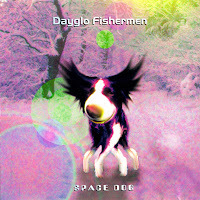 The title track, 'Space Dog', is about a wild alien creature that bears some resemblance to a dog. She's obsessed with speed and is regarded with a great deal of awe by the residents of all the planets she passes. During a particularly reckless journey through the Orion Nebula her excessive speed causes a rift in reality that sends her out of control, causing her to crash land on Earth in North East England. The impact, during a particularly harsh winter, causes her considerable injury, but she manages to make her way across the frigid landscape to a warm and friendly town where she can recover. She is soon able to leave Earth and continue her quest, whatever that may be. The second song is named 'Cool'. The song takes us on a personal journey. It's about a woman whose mundane life is interrupted when she sees what she believes to be numerous non-terrestrial vehicles emerging from a mysterious glow in the sky. The experience changes her outlook on life, and enables her to generate a great deal of personal wealth - essential for her to help the occupants of the vehicles, known as 'Guardians'. Their purpose on Earth is to rise up and eliminate the fear and dread that exists in the world. One day the woman returns home to find that it contains a golden dome, which is where, annoyingly, the song ends. We are left wondering what the dome signifies, and whether the Guardians are benevolent or malevolent. Listening to the song, especially after a reasonable amount of wine, can be a thought-provoking experience. 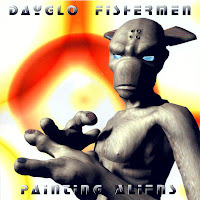 Dayglo Fishermen's next album, named 'Painting Aliens', is widely considered to be the band's classic pop album. But it also contains two of the band's finest science fiction tracks. The title track, 'Painting Aliens', is an upbeat song about a young girl who watches the sky every night, looking for something - anything. One night she sees a bright blue and red saucer heading straight for her. And then it vanishes. Standing beside her is an alien. He claims to be a friend from a far off star who had learned her language from books. And he wants to use her phone. She soon finds herself strapped into the saucer and taken high above the atmosphere. She's offered strange food, which she sensibly declines. She looks back at the lights of Earth in a daze and wonders just how amazed people down there would be if they knew where she was. The second science fiction track on the album, named 'Something's Watching', is a far more sinister song which plays on our fear of darkness, and the paranoia it can cause. The song is about someone who senses a presence in the darkness, something evil. She's desperate for help, but her pleas are ignored and she's left alone. She begins to believe she's going crazy, but then she's impregnated with something. It grows inside her and causes her to experience new visions and hear the sounds of an animal - a hound. The animal could well be the same animal mentioned in the Bass Hound Mix of 'Alien Wave'. Chilling stuff. The 'Comet Nerdlinger' album, despite it's name, contains only one science fiction track. 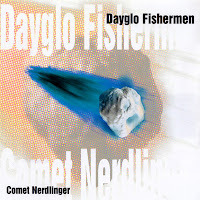 The song 'Nerdlinger One' is about a black comet, designated Nerdlinger One, which is drifting closer and closer to the inner Solar System. As usual, when it gets close enough to the sun, it develops a bright tail. But this is no ordinary comet. As the people of Earth marvel at the comet's beauty when its tail sweeps across the Earth the microscopic lifeforms within it descend and infect everyone on the planet. Humanity is dissolved and rises up and out of the atmosphere to merge with the comet, and to become part of the infection that will one day dissolve the beings of another world. 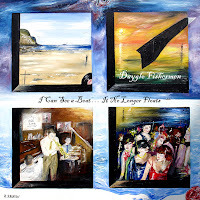 Finally, the album 'I Can See a Boat ... It No Longer Floats' features quite an extreme science fiction track named 'Screams Inside My Head'. A woman thinks she's going mad and longs for the bizarre thoughts in her head, especially those of a giant sphere, to fall silent. But she soon finds out she's not the only one with such thoughts. With a friend, who's also experiencing the same mental phenomena, she sets out to find the giant sphere, which she believes contains those responsible for her strange thoughts. They find the sphere and enter it only to be overwhelmed by its contents. The only way they can cope with life after such an experience is to be totally alone. This song, depending on how it's interpreted, could be linked to 'Cool' or 'Something's Watching'.